Our involvement with water started around two years ago when we began working with the World Bank. The project had to do with sanitation which is often associated with water and how to prevent illegal dumping of sewage into the Nile River in Egypt. I ended up working with a specialist in water and sanitation and started learning about the different aspects of water and how it fundamentally can change a persons’ life. Access to water is the starting point for both climbing up Maslow’s Hierarchy of Needs and also the way up the economic/social ladder. If you don’t have access to it, you’re basically living a life in poverty, spending most of your time searching for it. As an engineer and product designer, I never paid much attention to water as fundamental infrastructure. After what we’ve seen, I’m surprised more people in the technology industries don’t pay attention to it. 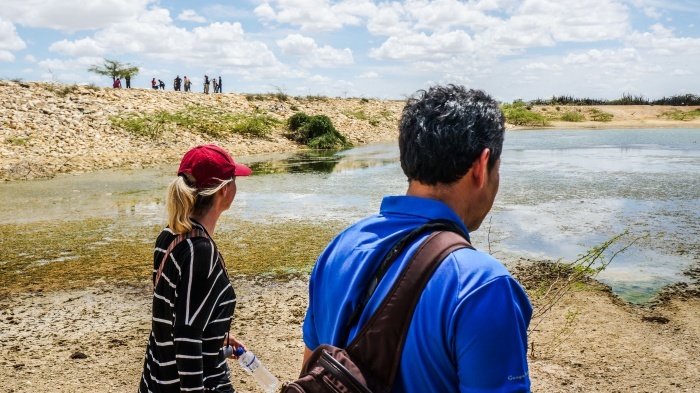 Recently we went to Latin America to work on another project with the World Bank and observe various rural water installations including reservoirs, dams, wells, and distribution stations. These were located in some of the most hostile, remote areas you can imagine. To get to the water reservoirs, we had to drive for hours off-road in 4×4 trucks with directions provided by a local guide. These directions were on the level of “make a left at the big cactus”. We traveled around La Guajira, Colombia near the Venezuelan border like this. 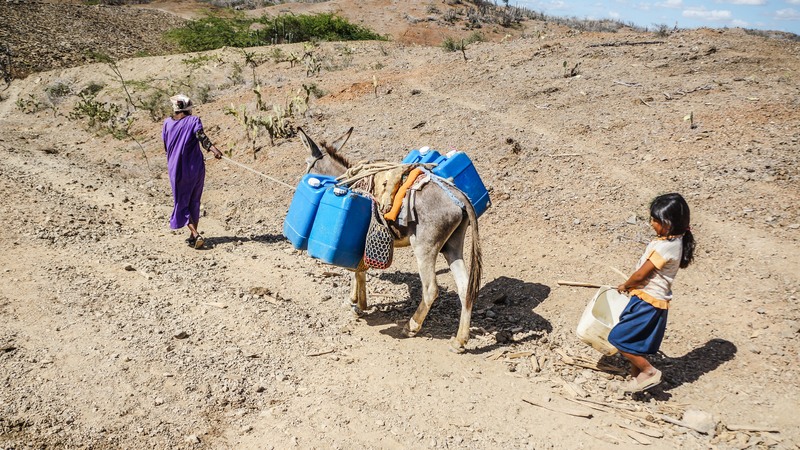 It was an incredibly arid, desolate desert region where daily life is a struggle for survival and the search for water consumes almost half the populations’ time. Washing clothes become a serious endeavor that required a day long walk with a mule to a remote reservoir that would have a washing station. 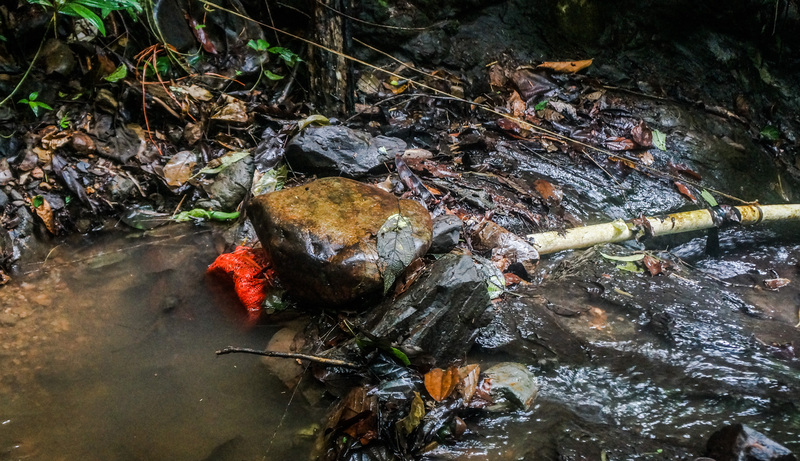 We also observed water installations in Panama near the Costa Rican border, in areas with such dense jungle that the light of day would barely make it through. 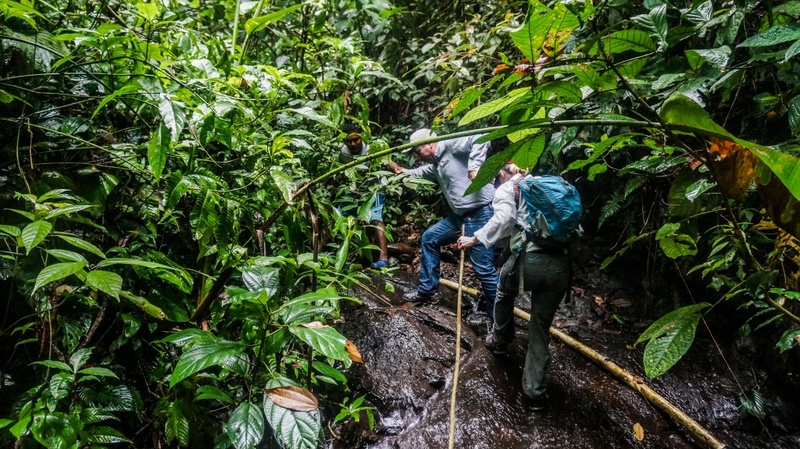 Machetes were standard in this area and a wrong step could bring injury on moss covered rocks hidden beneath piles of leaves. These rural water installations served communities that numbered from tens to hundreds of people and rarely exceeded a thousand. They would serve a population in need but were so remote, isolated, and poor that the government had a hard time justifying providing any services to them. This highlighted a common problem that water specialists often lament about: “There’s no money in water”. This doesn’t mean that there’s no profit in water. It means that literally, there’s no money in water. Like government funding. Water doesn’t bring many votes since people think of it as air, a resource that’s always available. 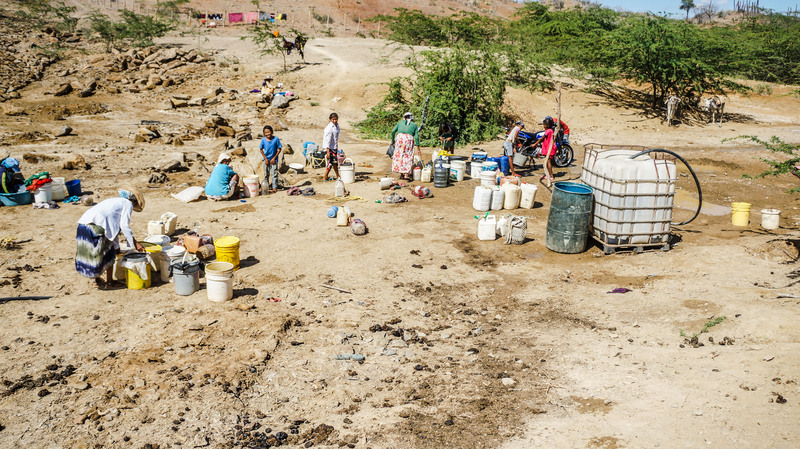 Unlike something like electrical infrastructure or internet infrastructure, people and governments are often unwilling to invest money in water because it’s not very flashy. This makes tackling water issues a challenging proposition under normal circumstances and extremely difficult in rural areas with installations that only serve a small handful of people, especially if those people are too isolated to vote. A lot of the rural water installations we’ve seen had parts that were broken or were completely non-functional. Solar panels had been stolen, water filters had dried out and were unusable, or pipes were clogged or were so full of holes they might have been mistaken for a sprinkler system. These types of simple problems could have devastating consequences to people that relied on them for everyday water needs. In many instances, the water service interruption could be fixed with simple maintenance and some cheap parts. Even if the fix is simple, the problem is compounded by the fact that many areas are so isolated that the parts may not be available locally, there might not be anyone around that has the technical skill to fix the problem, or people just don’t know who to talk to. Seeing the rural water installations also made us more aware of the water infrastructure around hackerfarm. In our area, there are two sources of water. The main source of water is “city water” which is professionally managed by the local government and requires a monthly fee. There is also “mountain water” which is fed by a local mountain spring and has a system of over-land pipes that go to various households. Houses that don’t want to pay (thousands of dollars) to connect to the city water as well as the monthly fee use the mountain water. 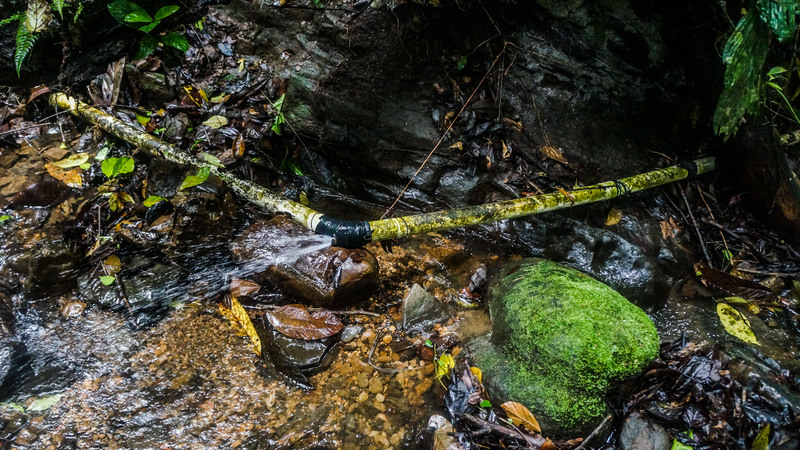 The mountain water network is not professionally maintained and generally maintained by volunteers from each village. Because of this, service disruptions are the norm. We’ve seen problems like the reservoir drying out due to mismanagement, pipes getting clogged by things like dead animals, and since most pipes are not buried, they regularly get trampled by wild boar who bulldoze both over and through the pipe networks. By contrast, urban water installations usually feature heavy duty equipment with underground pipes to distribute water and SCADA hardware to provide monitoring and status for the infrastructure. This kind of equipment costs hundreds of thousands to millions of dollars and requires regular maintenance. Rural water installations have very limited budgets and the ones we’ve seen generally cannot afford even one piece of that type of equipment. However this is where things get really interesting. SCADA is a legacy industrial networking protocol from the 1970s. 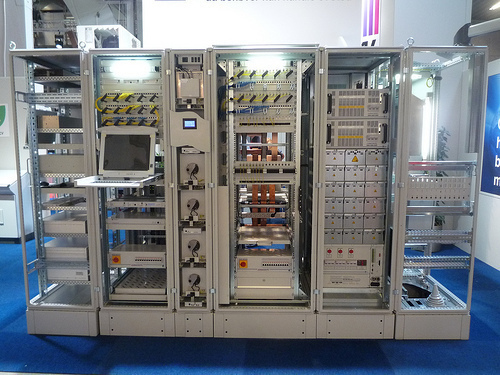 Since then, the cost of electronics, sensors, and communications devices have fallen exponentially and with open source hardware and software, it’s possible to emulate the functionality of SCADA equipment at an infinitesimal percentage of the price. Typical SCADA setup for urban water installation. 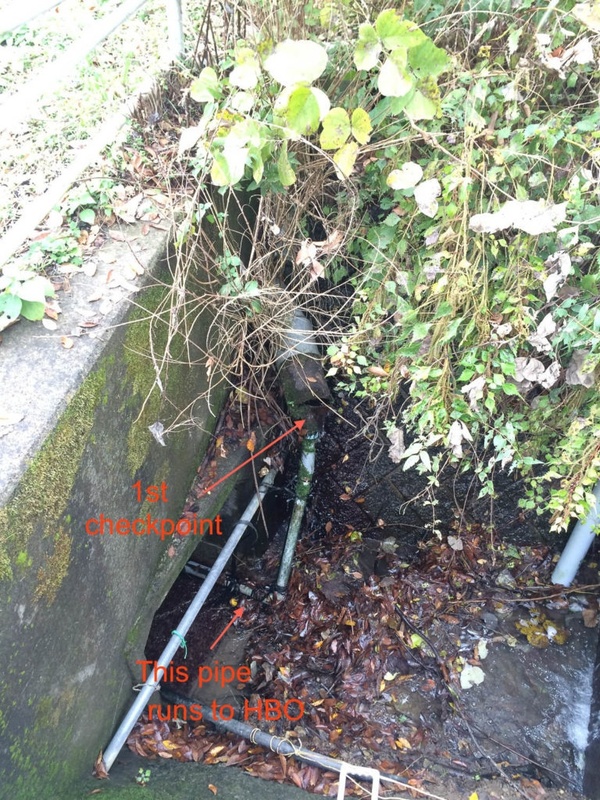 Rural water installations are much simpler. 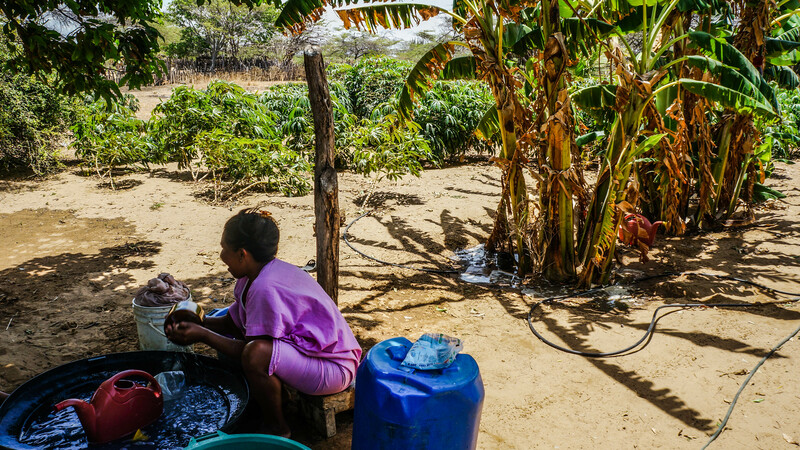 The rural water installations we’ve experienced both abroad and here at home all have similar recurring problems: Service disruptions requiring simple maintenance. Many issues can be resolved by monitoring for problems and when something looks wrong, notifying the correct people that can fix the problem. A lot of this can be automated and can provide alerts to locals and notify relevant people when problems occur. This all uses commonly available communications and sensor technology that we regularly use anyways to monitor our farm crops. So we will be starting “Water.Lab” (Water dot Lab or WaterLab), a hackerfarm project to provide open source designs, equipment, and training to assist in rural water monitoring technology. Not only will we benefit from this by improving our local water service, but we’re hoping to share our work with others that could benefit from rural water technology. Our goal for Water.Lab is to build up a community around open source devices and technology that is used to improve water services in rural areas. The technology would give SCADA-like capabilities, ie: status updates, alerts, and notifications, to underfunded rural water installations and allow them to detect, fix, and track water problems and help prevent water outages to those that are most in need. Stay tuned for more information and updates on the progress of Water.Lab at its project page. If you’re interested in this project or would like more information, feel free to contact us here. One of the communities we visited that had proper running water. They’ve learned to plant and irrigate water hardy crops, recycle their laundry water to irrigate their fruit trees, and no longer forage for water or food. They save so much time that the children are able to attend school and adults able to make products or work jobs.